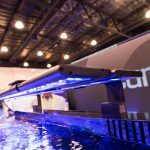 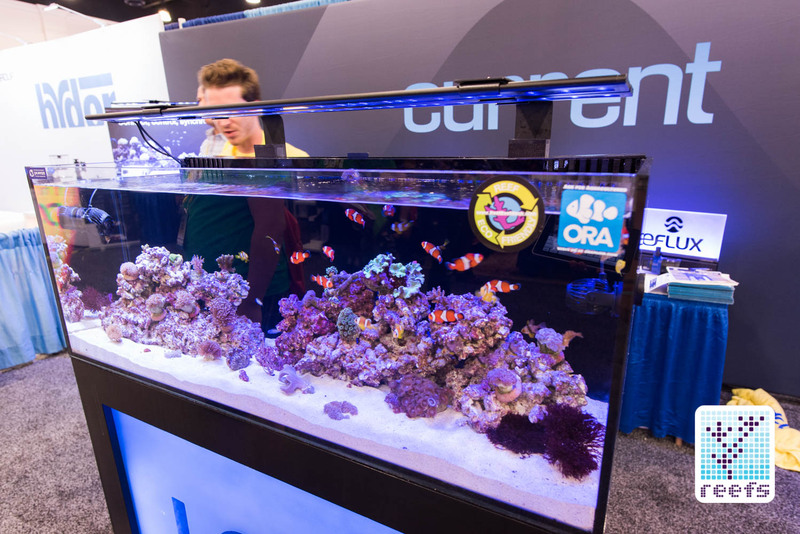 Every year, The Marine Aquarium Conference of North America brings together aquarists from all over the world. 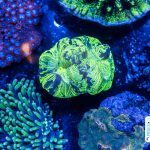 They gather together to enjoy three days of interesting and informative talks by world renowned aquarists, presentations by the aquarium industry’s top vendors, and fabulous activities organized by MASNA and its sponsors. 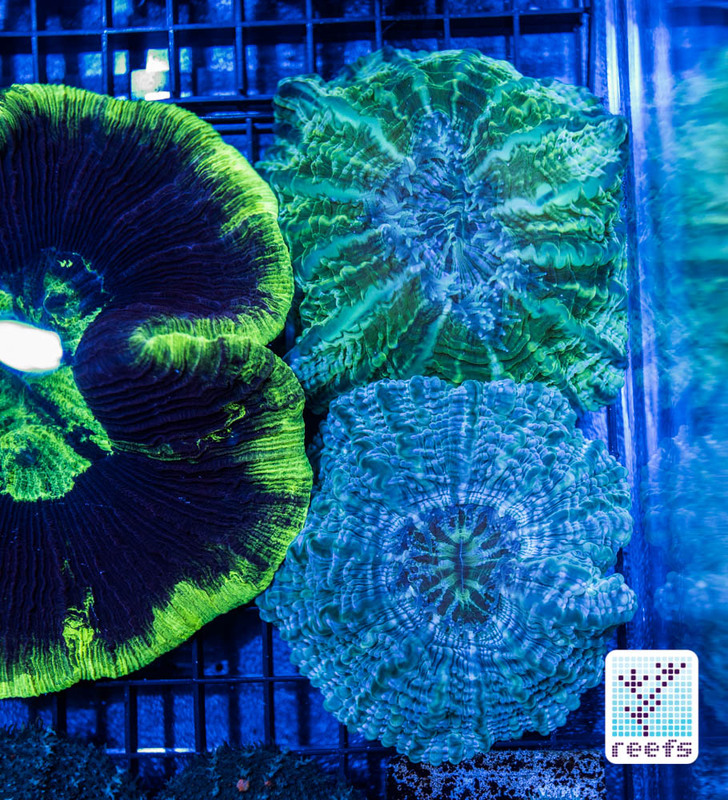 An increasing number of corals sold by vendors come from captive bred or maricultured sources. 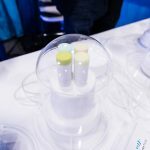 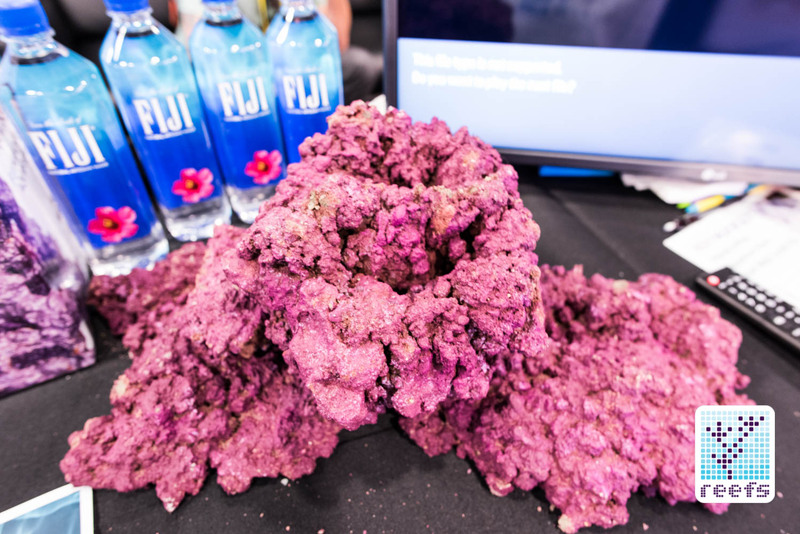 This year in San Diego, the theme that dominated the show was sustainability. 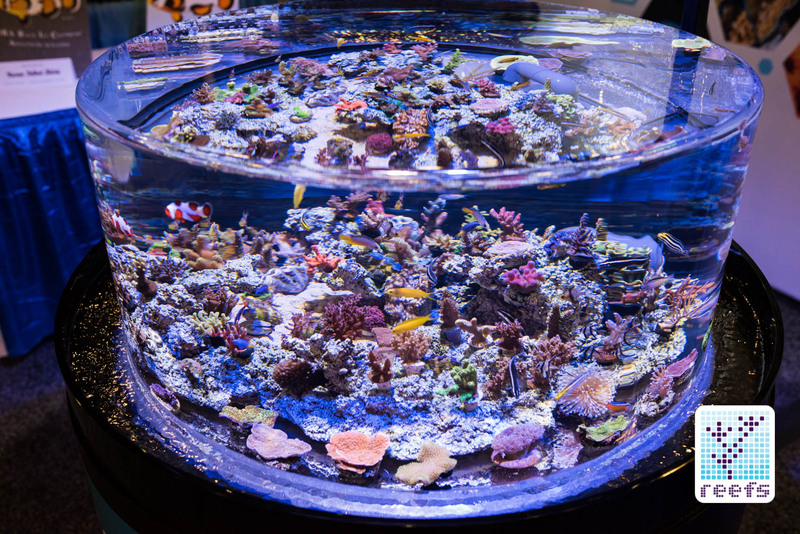 A record number of companies showed their latest captive bred fish, a kaleidoscope of propagated and aquacultured corals, and an increasing number of sustainably-harvested live animals. 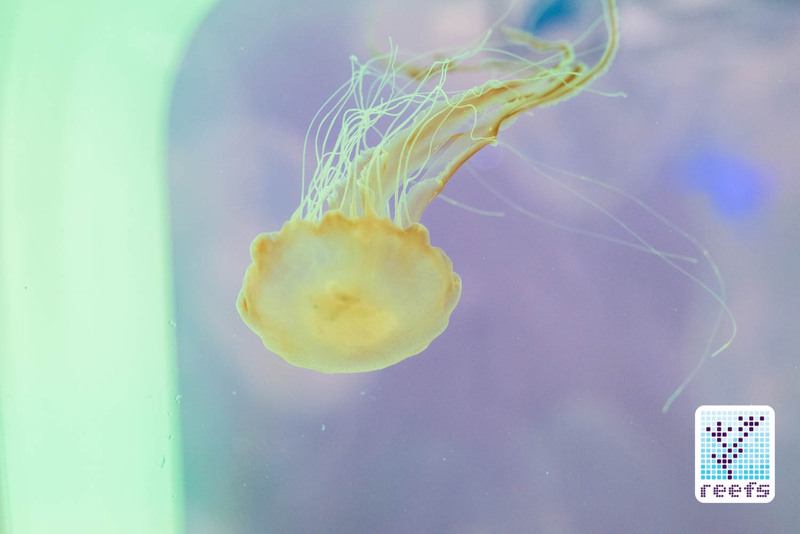 There has never been a point in time when so many of the live animals we purchase for our home aquariums have come from sustainable or “zero impact” sources. 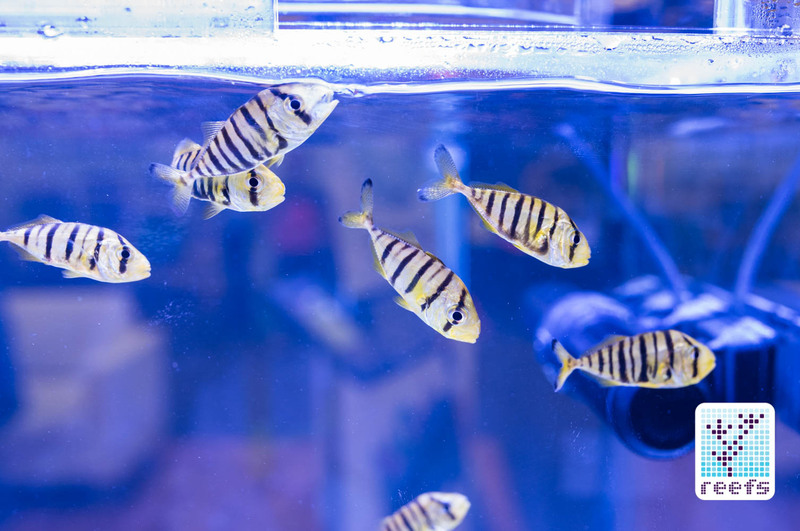 The recent success in breeding the Pacific Blue Tang by Florida Tropical Aquaculture Lab, in conjunction with Rising Tide Conservation, as well as the rearing of the extremely rare Australian Flathead Perch (Rainfordia opercularis) larvae by Todd Gardner perfectly illustrate the direction that the aquarium hobby is taking. 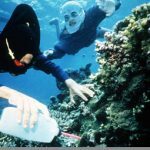 Meanwhile, organizations like MASNA, along with local clubs, research facilities, and sponsor companies expand their reach to promote public awareness about the current issues and future goals our hobby faces. 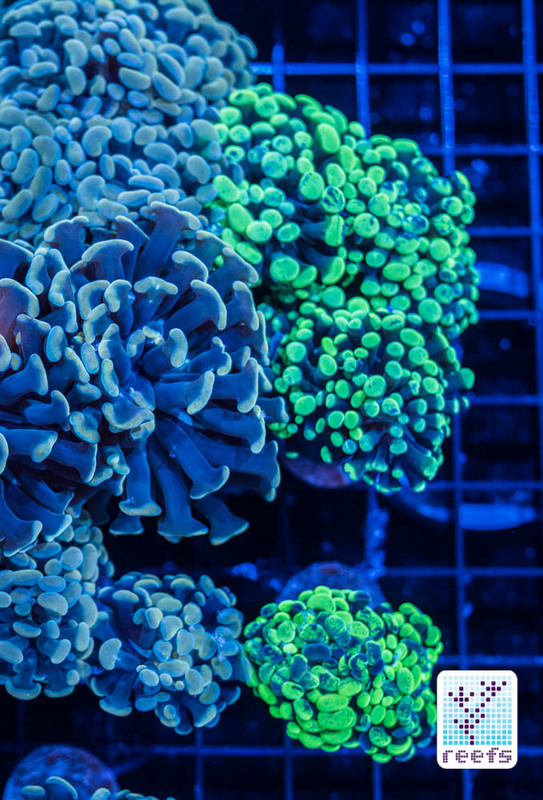 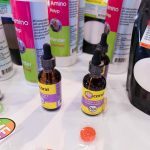 Below are some fine examples of how far the aquarium hobby has come through years of self-regulation and the promotion of sustainable practices. 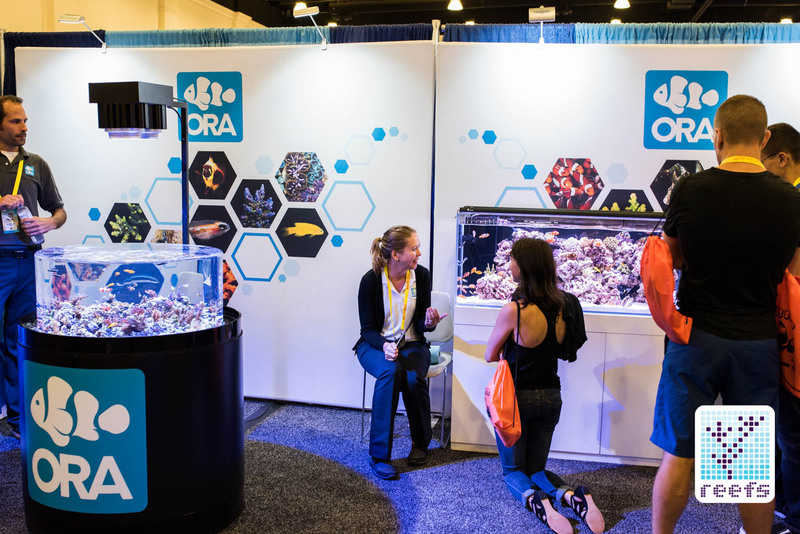 ORA, the pioneer in captive breeding programs, had an amazing display featuring their captive bred fish and invertebrates. 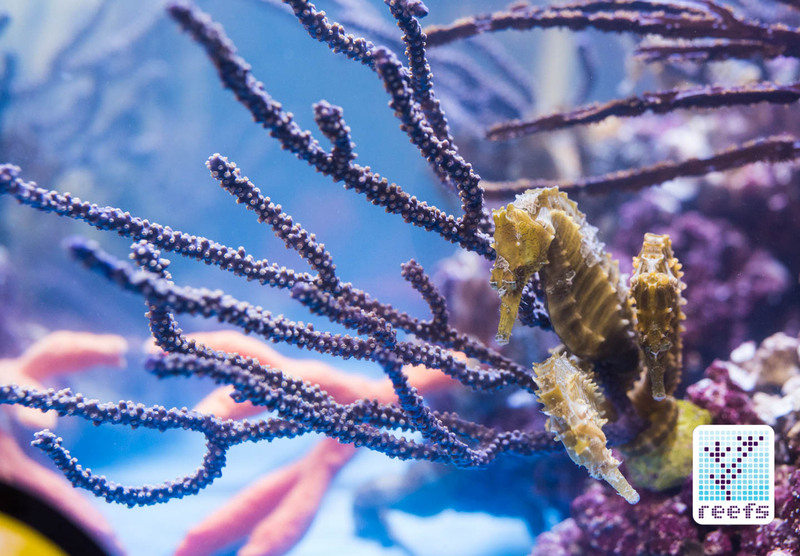 Dr Mac from Pacific East Aquaculture showed us a tank full of captive bred Saddled Erectus Seahorses from Alyssa’s Seahorse Savvy. 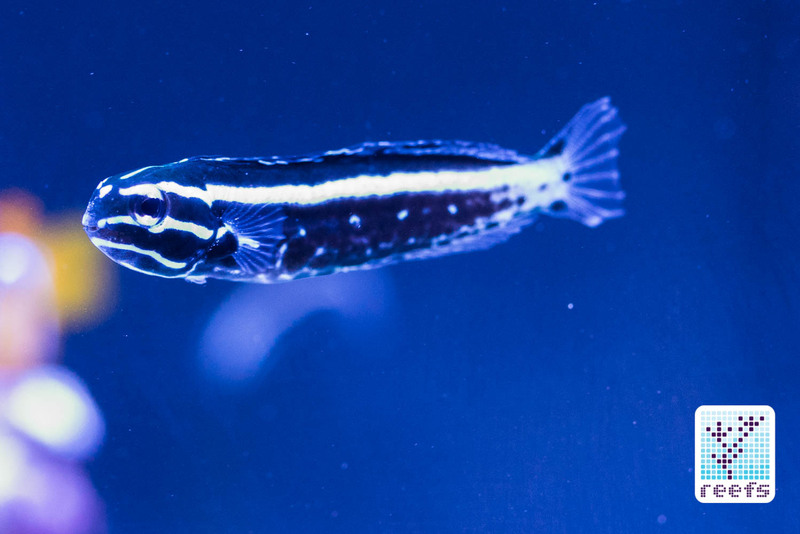 Captive bred Kamohara Blenny (Meiacanthus kamoharai) on sale at MACNA in San Diego. 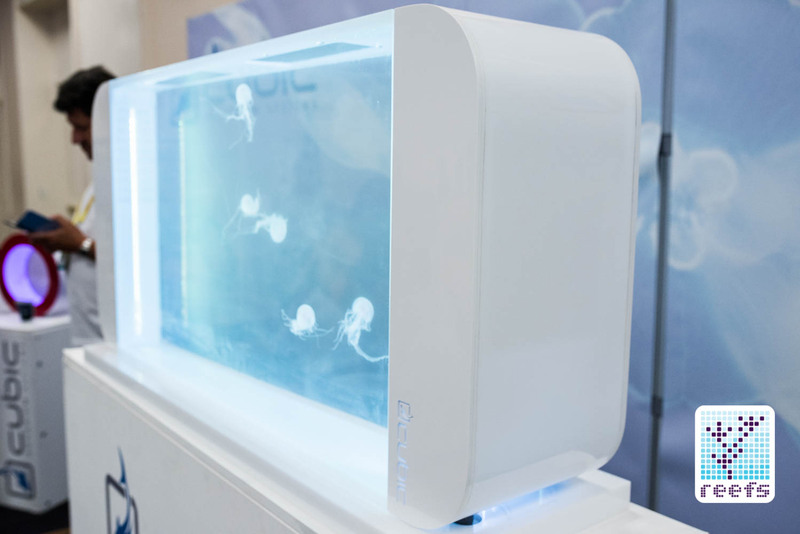 Captive bred Jellyfish at Cubic Aquarium Systems display tanks Live rock is being steadily replaced by real-looking, manufactured rock, like the pieces displayed by Walt Smith’s Reef Rock 2.1 Rock This display at Current USA booth featured rock from Real Reef Solutions and livestock by ORA. 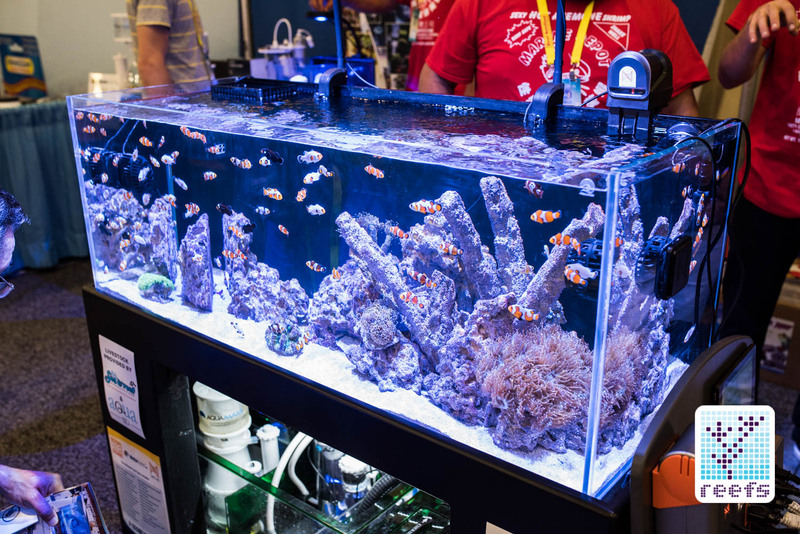 Here, a beautiful display tank full of captive bred clownfish at Marine Depot booth. 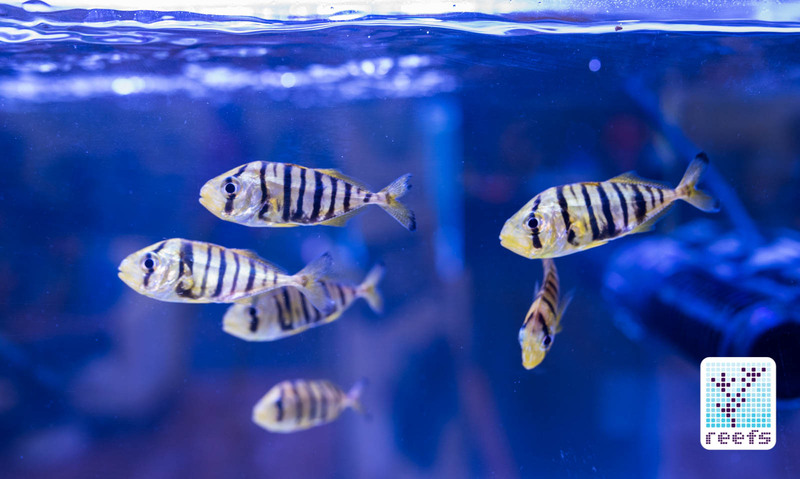 All fish in this tank come from Sea & Reef Aquaculture farm.